In a report released last week, U.S. 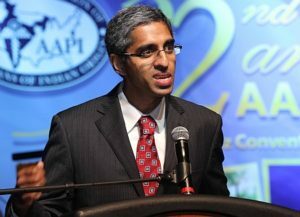 Surgeon General Vivek Murthy did a huge disservice to both himself and the entire country when he was overly critical of vaping and the vaping industry. In his report, he acknowledged that there needs to be more research done on vaping and the potential health effects that it may have. But he also made some disparaging remarks about vaping in his report that are unfortunately going to turn a lot of people off from vaping and make them think twice about using e-cigarettes. It seems Murthy is concerned about the possibility of teenagers and young people using e-cigarettes for vaping. He’s apparently so concerned that he is perpetuating one of the biggest myths about vaping, which is that it works to serve as a “gateway” to tobacco cigarettes and other tobacco products. There is absolutely no scientific evidence of this being true, but Murthy talked about it in his report anyway and suggested that teen vaping could lead to teen smoking. Murthy is correct in that underage people should not vape. We would never advocate for that. But Murthy went as far as to call vaping a “major public health concern” in his report, which is just taking things too far! Rather than helping people understand vaping, Murthy relied on scare tactics to get them to listen up—and he did so at the expense of the vaping industry. We weren’t the only ones up in arms about it, either. The New York Post published a scathing opinion piece on it, and it explains why Murthy’s report should be taken with a grain of salt. Here’s why it’s worth your time. The biggest issue they have—and it’s an issue that we share—is that, by talking down on vaping, Murthy is indirectly giving the tobacco industry a boost. 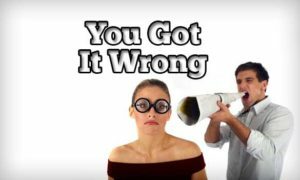 The New York Post accuses the anti-smoking movement of doing whatever they can to turn smoking alternatives like vaping into “gateways” to tobacco products, and they write about how those who are against vaping aren’t giving it a fair shake. This could be especially problematic if it turns out that vaping is a healthy alternative to smoking. The basic gist of the piece is that Murthy and others who think like him seem to have dismissed vaping without considering the long-term benefits of it. And that could prove to be a huge mistake. The New York Post is obviously not the first publication to speak up on behalf of vaping. Plenty of publications—including The New York Times and USA Today—have done so as well. But the Post is doing a good thing for the vaping industry by, at the very least, considering both sides of the spectrum. They don’t necessarily just speak for the vaping industry, but they tell their readers to keep an open mind when it comes to vaping. The U.S. Surgeon General is a very powerful person, and what he says about vaping will influence many people out there. When he speaks out against vaping, people will think that it is bad for them. But when the New York Post comes out and casts doubt on his statement, it serves to remind people to think twice before simply buying into what he’s saying. In the future, we hope that the U.S. Surgeon General thinks twice before speaking out against vaping, and we hope that the New York Post piece—and others like it—remind him that he serves everyone and not just those who are against teen smoking. That is obviously an important issue, but it’s not the only issue at play here when it comes to vaping. Murthy must also remember that there are thousands of people who die every year as a result of smoking, and he must work with the American people to reach a common goal of getting people to quit smoking cigarettes. 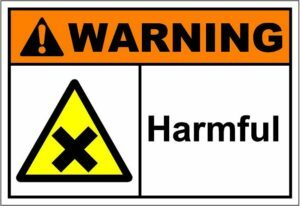 One day, vaping could very well be the way that people kick their bad habit once and for all, and if it is, does Murthy really want to have the report that he put out last week on the record? It makes it seem as though advising people on health-related issues is the absolute last thing he should be doing. In the future, Murthy should take the concerns expressed in the New York Post piece to heart and consider them before releasing future reports. We are all for getting e-cigarettes out of the hands of young people. But we think that there’s a way to do that and to help those who want access to vaping products at the same time. Kudos to the New York Post and the Post Editorial Board for taking a stand on an important issue. We just hope other newspapers and online publications take notice and continue to take a closer look at reports about vaping like the one that was released by our country’s Surgeon General.